Spray water control valve &boiler steam temperature control valve are widely used in thermal power plant fields for controlling steam temperature and spray water flow rate. Especially for the Spray water flowline application of superheater and reheater attemperator. Steam temperature is normally controlled by spraying water into the steam between the first and second-stage superheater to cool it down. 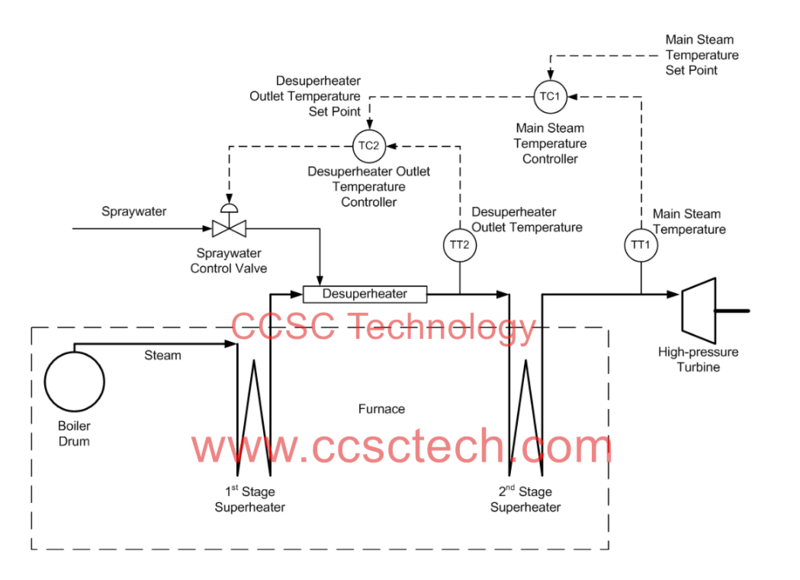 Nowadays, many power plants have different power load requirements, so that need different steam temperature. The control of the steam temperature is very important for the thermal power plant on its own safety, high efficiency and reliability. This valve can control the main steam temperature and reheat steam temperature of boiler by spraying water. Typically applications of spray water control valve include control the superheated steam temperature in boiler super heater, control the steam temperature as a function by spraying water under the emergency conditions in superheater and reheater system. Spray water control valve& boiler steam temperature control valve can be also used for petroleum chemical industry, oil chemical industry, etc. Spray water control valve can also be used for severe application working conditions and control a wide variety of relatively clean liquids and gases at high pressure differentials. Our spray water control valve &boiler steam temperature control valve are improved from the international brand such as Emerson fisher, CCI, Copes etc. According to client’s requirement we can design the structure which can meet general service, heavy duty and severe service working conditions. It can protect the downstream equipment from damage such as turbine and high pressure pipeline system during the state of close of the valve. avoid cavitation effectively, extend its service life significantly. ●Valve plug and cage have good block resistance property, A small amount of impurity will not easy to cause blockage during frequent operation. CCSC TECHNOLOGY & CCSC PETROLEUM EQUIPMENT CORP., LTD is not an authorized agent or sales representative of Emerson Fisher and CCI.